A rare opportunity awaits you. 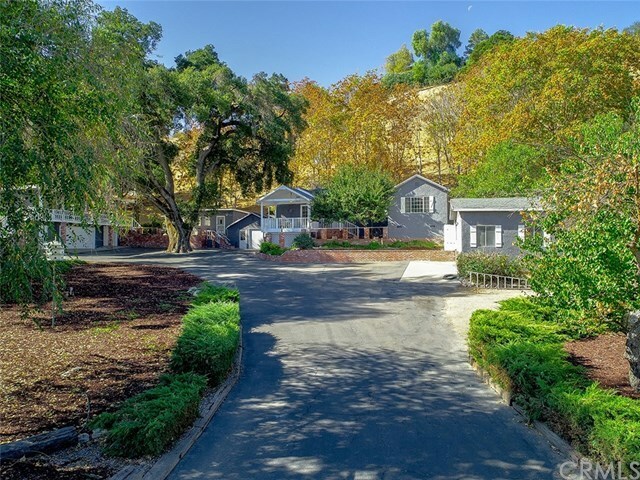 Lovely 3 unit properties, nestled in a tranquil iconic Paso Robles neighborhood and easy access to freeway, shopping, restaurants, and schools. Situated on 1.59 Acre lot, with a majestic oak tree providing cool shade in the summertime for this lovely home. Each unit offers its own private address: 3165 Vine St., 3165 1/2 Vine St. And 3151 Vine Street. Tastefully remodeled. Move-in condition. Offers: 6-Car Garage (3 are Boat Deep) *, enclosed storage unit along with a work shed. Shows Light and Bright. Open Floor Plan. 3165 Vine St.- Main House offers a spacious balcony/front porch (overlooking a quiet and peaceful front yard with fruit trees). Renovated: Newly painted interior (throughout the main house) and exterior. Stainless Steel appliances. Natural light comes through the light tube in the hallway leading to the bedrooms. Lovely built-in bookshelf located in the family room and a slider door leading to the charming covered side porch with a built-in barbeque; ideal for year-round entertaining. Zone: R2- Income producing Property* Property Type: 2-4 units- "Multi-Family Dwellings". Ask City for a list of possible income opportunities. Close distance to landmarks: Lake Nacimiento, Hearst castle, Morro Rock, Elephant Seal Rookery, Pismo Beach and Solvang wine country. The potential use for this unit is limited only by your imagination: Guest House/ Art studio/ Granny flat/ Music studio/ Man Cave. Possible income producing the property. Directions: Take 101 El Camino Real. Lt. on CR-G14, Road changes to 24th st., right onto Vine st.